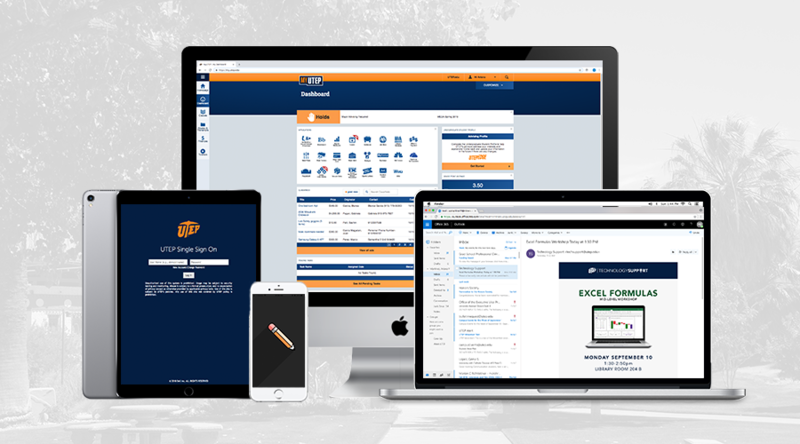 UTEP’s single sign on portal connects students, faculty and staff to most of their online services in one convenient location. Your UTEP username and password connects to your email, Goldmine, Blackboard, and more. UTEP ID Number: To find out you UTEP ID number, log in to my.utep.edu and click on the down arrow next to your name at the top. Select View Profile. You can also contact the Admissions office at 915-747-5890. Students who are admitted, registered or within one year of their last attendance may utilize these online services. If your account is disabled due to inactivity, please call us at 747-4357 to reactivate your account temporarily.